Carry this reusable tote bag with you to the farmer's market, the gym, the grocery store, or any item-laden errand run you're going on. 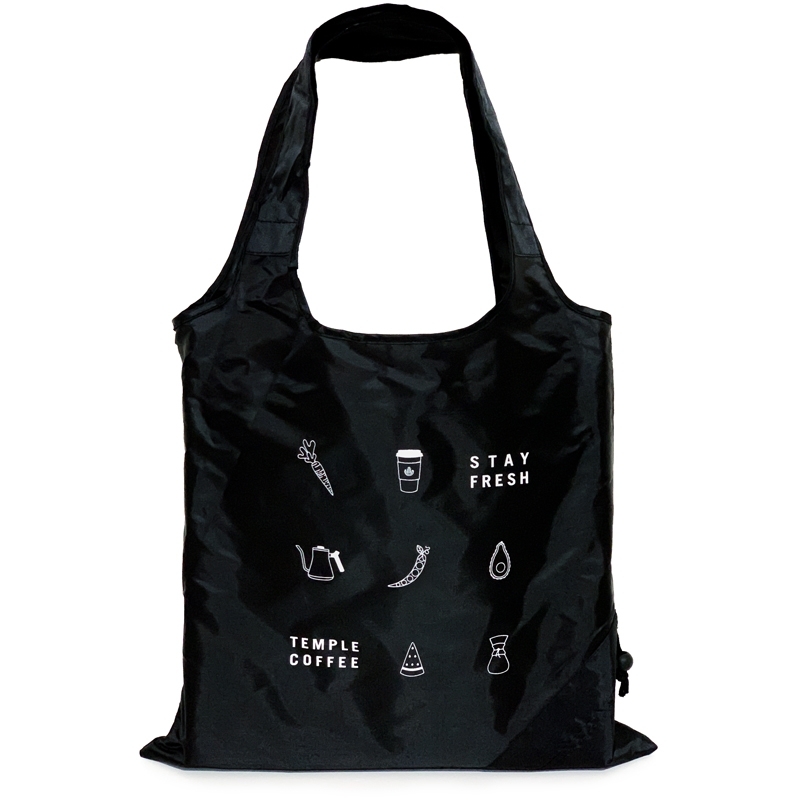 The Market Tote features a mix of coffee paraphernalia, fruits, and vegetables - suggestions of the many things you can carry with the power of the Tote. Folds into a small attached pouch - bring it everywhere with you! © Temple Coffee Inc. | Temple Coffee Roasters Inc.